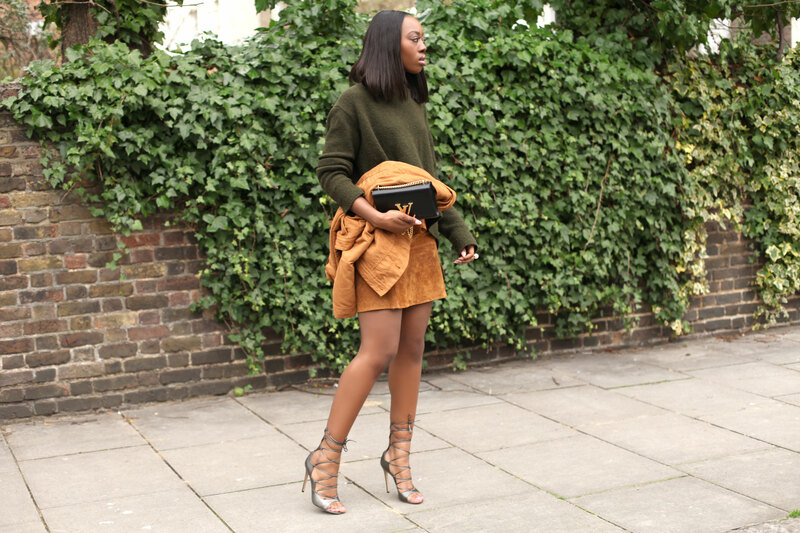 Tan suede is going to be big this season. It was smothered (for lack of better words) all over Chloe’s runway show and has trickled it’s way down to the high street as per. The 70’s vibe (think obnoxiously flared trousers, loose fitted shirts and round sunglasses) will be big this summer and is already spread all over the high fashion magazines especially PORTER magazine where they had included beautifully styled 6 page spread which elaborated on the 70’s trend. Every time I have seen tan suede anything, it has been paired with denim but I wanted a a more casual an effortless look. 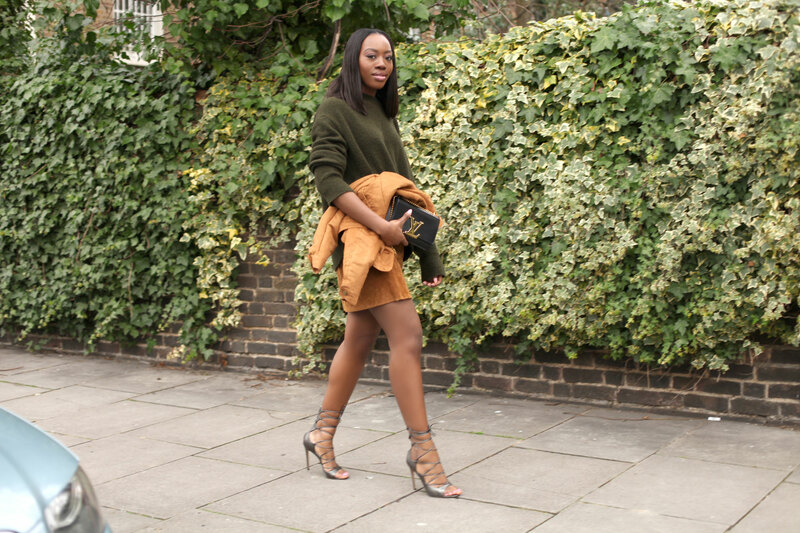 I paired it with a over sized jumper and lace up sandals to make the outfit more chic.